Located adjacent to western express highway is Kandivali Big Bazaar on east side of railway station. Spacious and best place for day to day shopping products with family and a good hangout place as Growels 101 mall is connected. 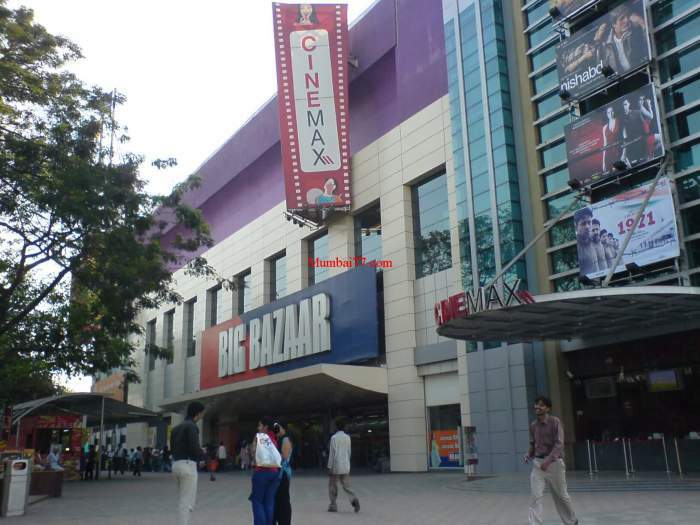 It is one of the Biggest Retail super market of Mumbai till date 2017 also known as Big Bazaar mega store. Its an all purpose retail store in Kandivali for shopping of clothes (both Kids wear, Ladies Dresses and Gents etc.) at ready made garment clothings section of Mall. They have different shopping sections according to the needs of customers. From everyday needed products like tea powder, glossary and crockery, this market has every thing. As they have a ample space around to park cars and bikes when inside this store or for a movie in Cinemax movie theatre located just next at Growels mall. Many people comes here just for windows shopping and enjoying the chit chat time at open breeze location near the entrance of this super market. One can reach here via private vehicle taking a road route of Western express highway towards Borivali, just next to the Highway one can find the location and can see the Cinemax Adjacent near Kandivali highway. Alternately via local trains get down at Kandivali (East) then 10 to 15 minutes walk-able distance, or an Auto.